By air: Domestic flights from Lima (1 hour) and from Arequipa (30 minutes) to Cusco. By train: Regular service Puno – Cusco: 384 km (10 hours). Where to go at Cusco? The main square with the amazing Cathedral, La Compañia de Jesus, some blocks form La Merced. You have to visit also San Blas Quarter, well known as the craftsman quarter, and where you will find a church with the same name, Santo Domingo Convent where Qoricancha is found (The Sun Temple in Inca times). 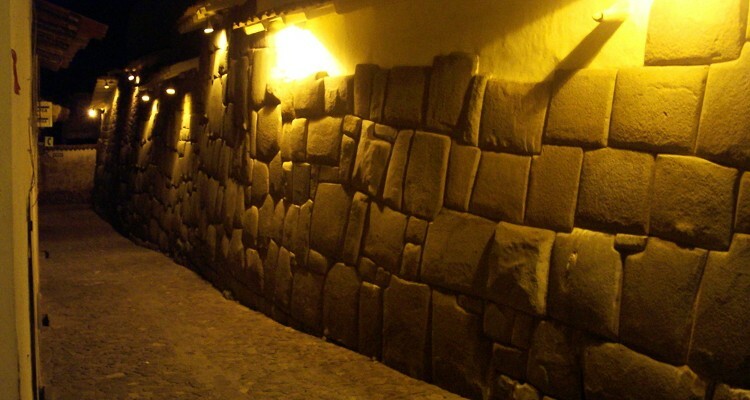 In the surrounding area, you can visit many Inca archeological remains such as: Saqsaywaman, Qenqo, Puca Pucara, Tambomachay (dedicated to the cult and to the agriculture), As well, the amazing places like Machu Picchu, Ollantaytambo, Piquillacta, Tipon and Pisaq. · Eat light food, the first days. One has to be careful, to avoid breathing problems or discomfort because of the altitude. · At the moment you arrive to the airport or to the bus station, we recommend you to have a clear idea about where you are going to stay. There taxi drivers who try to confuse the passengers taking them to other lodgements that are not like the tourist want and taxi driver take advantage of it. Cusco has geographical areas and appropriated climates to practice these kind of sports. Lakes, rivers, mountains, circuits and lands are much appropriated to practice rafting, parachute jumping, hang gliding, mountain bike, trekking and motocross and many others. Cusco has many shopping centers and handmade stores, as well as specialized stores. The tourist can buy souvenirs, fabrics, different kinds of vicuña and alpaca wool clothing. There are always going to find opened bars and discotheques all night where you will enjoy the music, dancing with our pretty females and taste the most exotic international and national drinks. Many of them offer live shows with musical groups; national, regional or international groups. You will find an assorted list of main dishes at the restaurants of Cusco (good meat, red trout or pejerrey of Titicaca Lake), delicious sauces, delicious dishes cooked by the chef and Peruvian Creole food like the Seco de Cordero, ceviche, lomo saltado, anticuchos or a Cusquenian cuy. You will also find international dishes as Argentinean meats, Chicken Curry, red trout at the florentina style.